CPC (Cost Per Click) is the amount credited to your adsense when a click is generated from your website. That means, if you have high CPC, you will get paid soon for few clicks and if you have a low CPC rate, you have to wait for lots of clicks. CPC is not a constant rate. 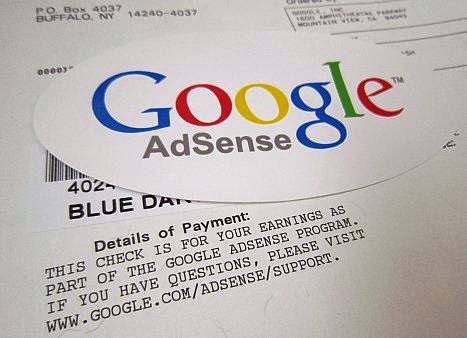 Adsense CPC always changes according to lots of factors say, Traffic, country, ad unit size, ad unit position etc. CPC commonly starts from $0.01. ie, getting $0.01 - $0.04 for single click is not good. Increasing Adsense CPC is a dream of all adsense publishers but many of them don't know how. But the funny thing is, Google itself provides the ways to increase your CPC in their adsense support pages. Here are some tips that can implement. And many more... for complete list, Just Google "High paying Adsense Keywords". The important thing is, You must be able to write unique and useful contents about that topic. Country Targeting is another most important factor. Clicks generated from developed countries can pay you more $$. Clicks from developing and poor country just pays some pennies only. So don't do focus for such countries.Always write for developed countries or write about global topics. The reason behind this is, advertisers from developed countries would pay more. And digital marketing is not much popular in developing countries. Use Recommended Ad sizes is important for getting more clicks and more CPC also. While creating ad units from Adsense, you can find that, Google have picked some ad sizes as Recommended ad Units. Adsense will pay more this sizes and they are eye catching large sizes also. Use Minimum Ad units in single page Adding more and more ad units in a single page causes low earning only. You may get many clicks but the CPC will be low. I recommend to use only one Ad unit and two if the content is too lengthy only. This is because, If you have two or three ad units, the competition for you ad units will be lesser in Adwords. SEO have a great role to earn you more and more $$$. SEO helps you to get more traffic for you website and a good SEO website will get more CPC because Google crawls can catch up relevant ads for you site. Follow the Rules is very important and strict while using adsense. It should be always in your mind that, you can't cheat the internet giant Google. They can trace you easily. You can get the full T&C from Adsense itself. You will get banned is any illegal activities found because, Google also makes importance for Advertisers interests also.